Lovely. 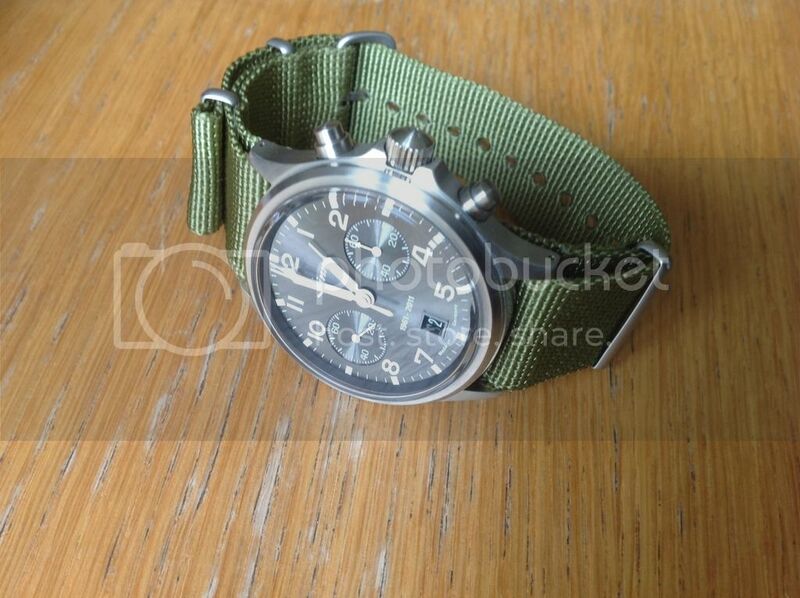 Have a want to buy for one of these, only joined here as Andy posted one on PH, still want one. Strange. 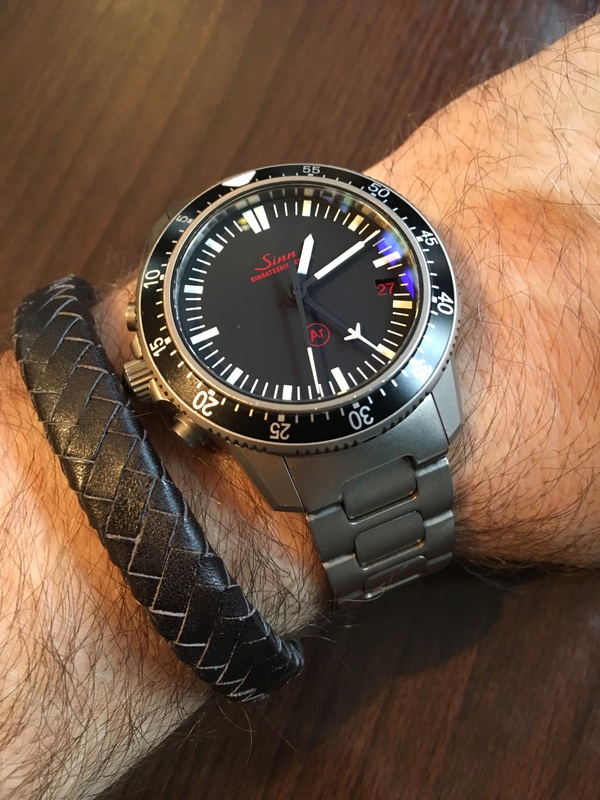 I've never liked the diapal on the bracelet but it's transformed on that strap. Wow some really cool Sinns here. Always wanted one but never got around to getting one. [QUOTE=Routers;4238227]My daily wearer and still one of my all time favourites. Crappy Chinese phone pic, sorry. Last edited by andy tims; 4th November 2017 at 08:50. 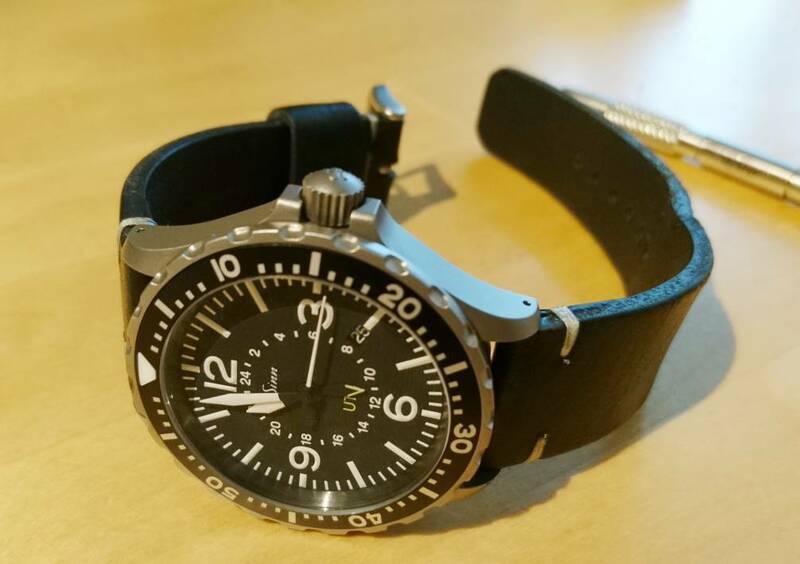 My last Sinn, 358 le, looking for a new owner as I continue to consolidate the collection. Last edited by Cat7; 19th February 2017 at 21:25. 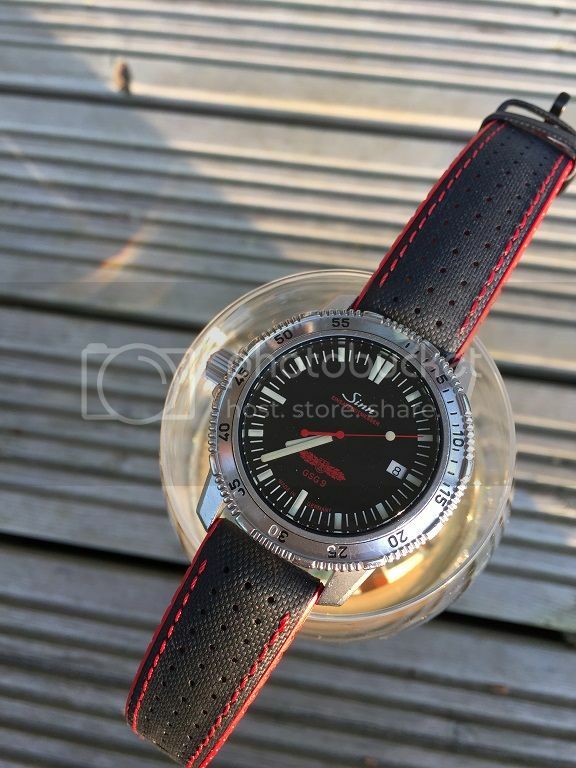 I love the look of this watch and have nearly gone for it a couple of times as they have come up ... but shied away from it. 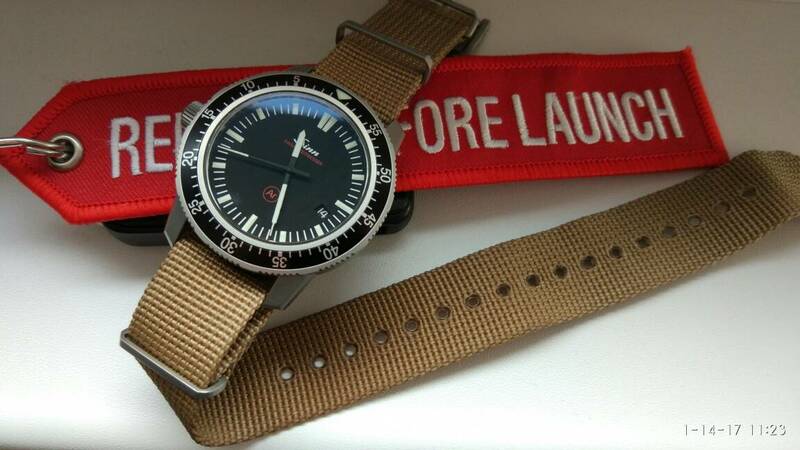 I'm born in 1961 ... every time I looked at the dial I think I'd feel I was living on borrowed time. 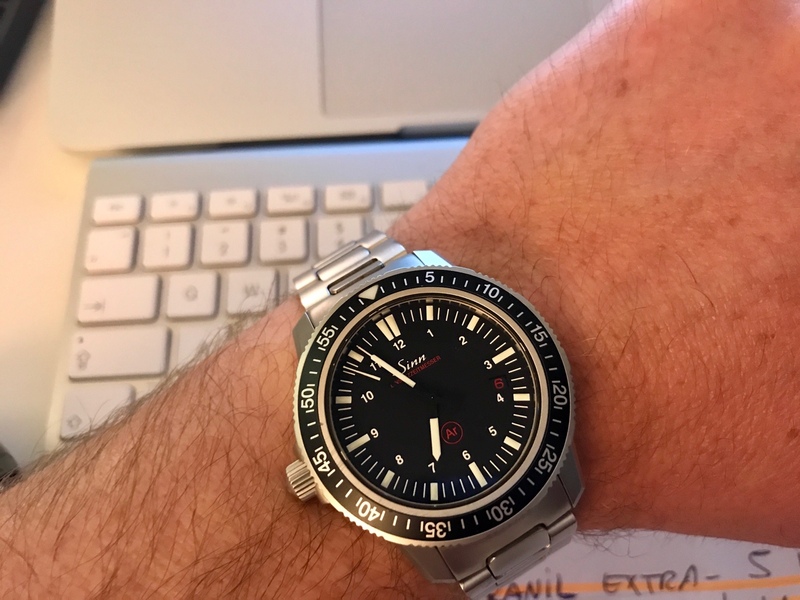 We are all on borrowed time, use it as a reminder to "seize the day"
Some say the 42mm size of the 358 is too big, preferring instead the smaller 356. I found it just right. 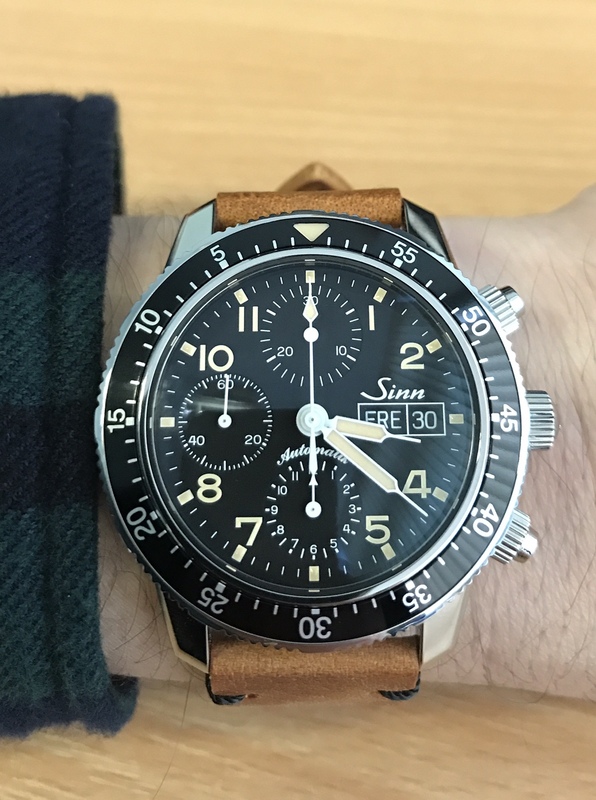 Great Sinn quality, very comfortable. 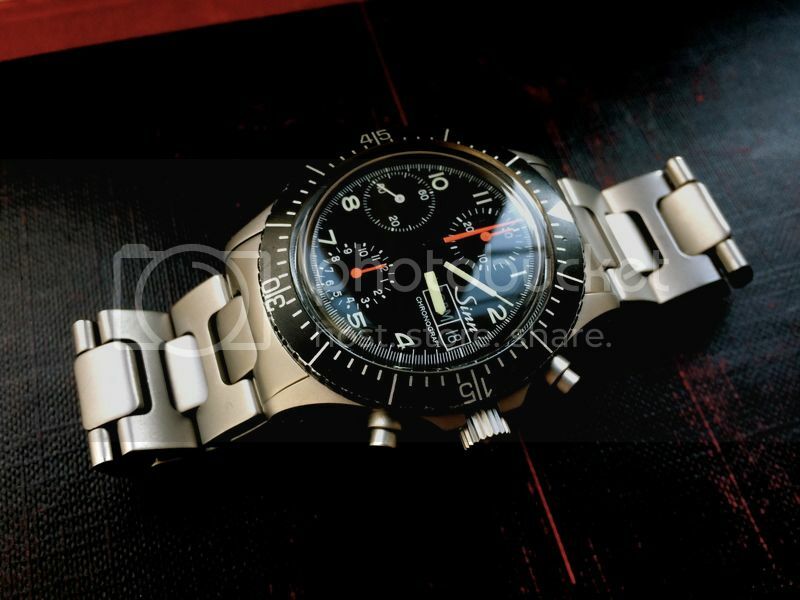 Superb balanced look to the twin-register chrono dial with no cut-off hour digits, date at 6 o'clock and that glossy grey sunburst finish is sublime. Why-o-why did I sell mine? 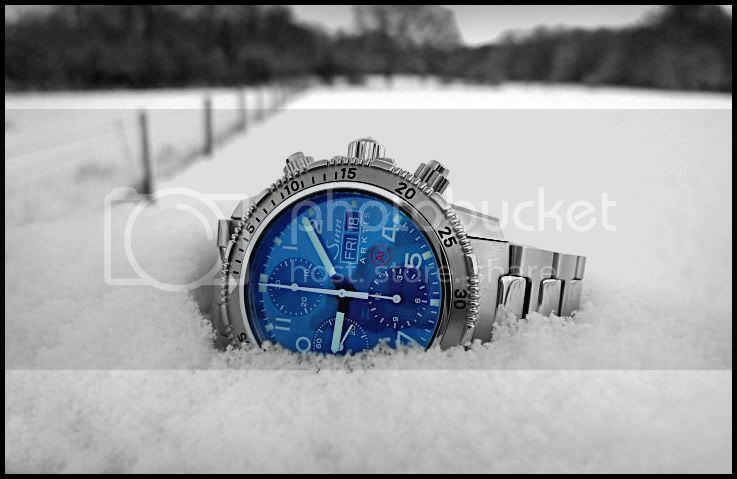 Last edited by pstruck; 21st February 2017 at 16:24. 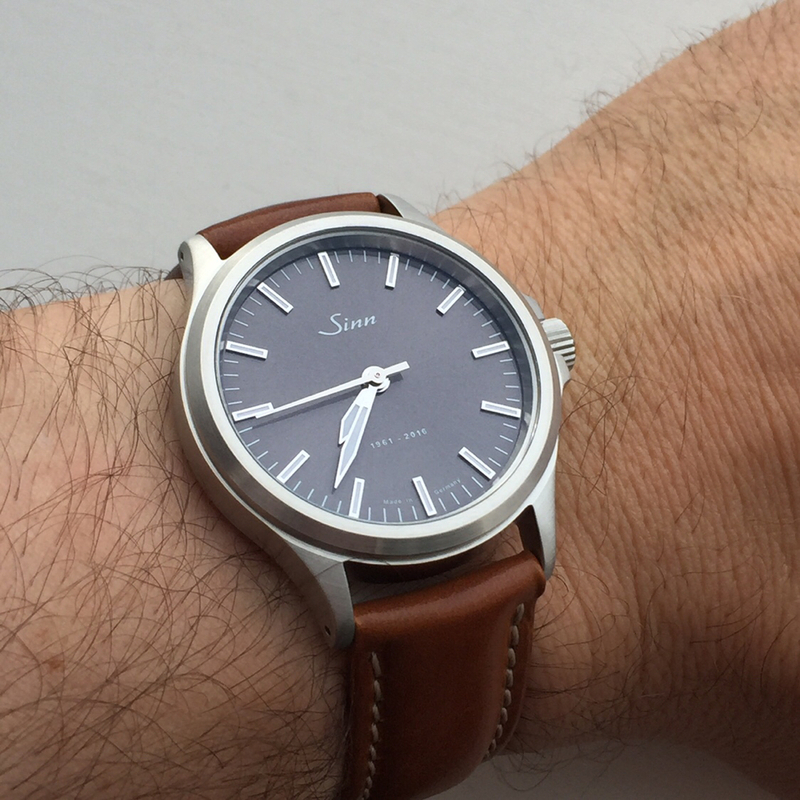 This Sinn 103 from the 1980's with a hand wind 7760 movement not many with this hand set up and date set up. 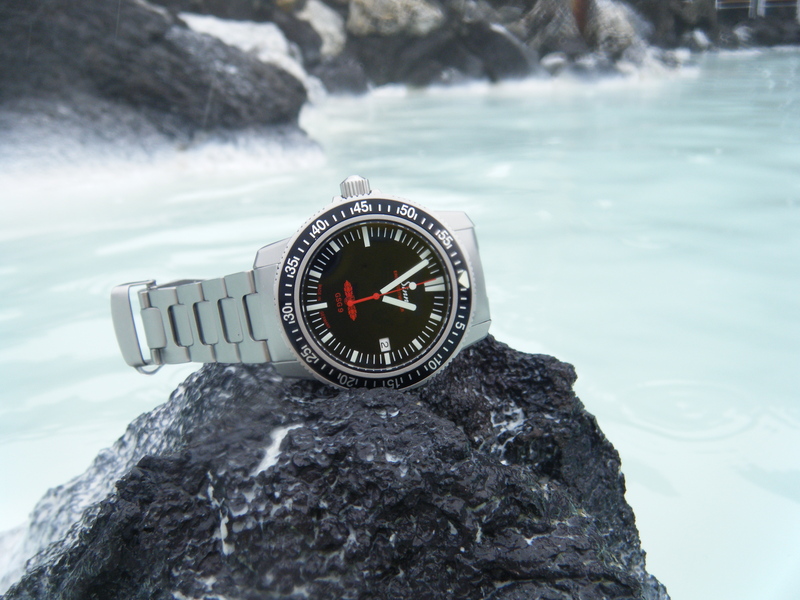 Look at the Swiss made on the dial. And nice aged patina in the lume. I had one of those, liked it a lot! 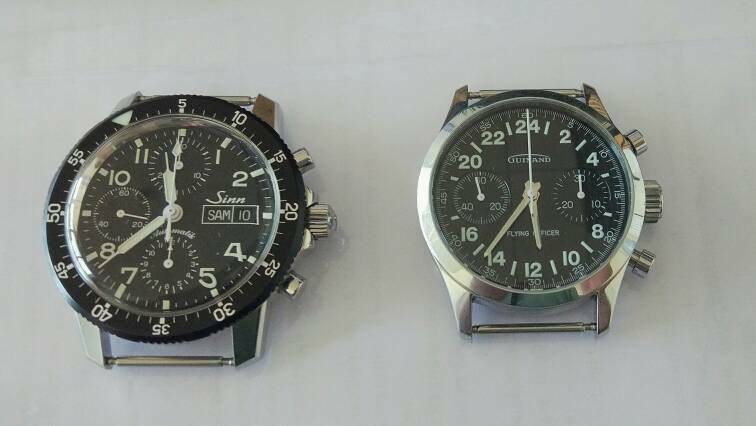 [QUOTE=pstruck;4255647]Some say the 42mm size of the 358 is too big, preferring instead the smaller 356. I found it just right. 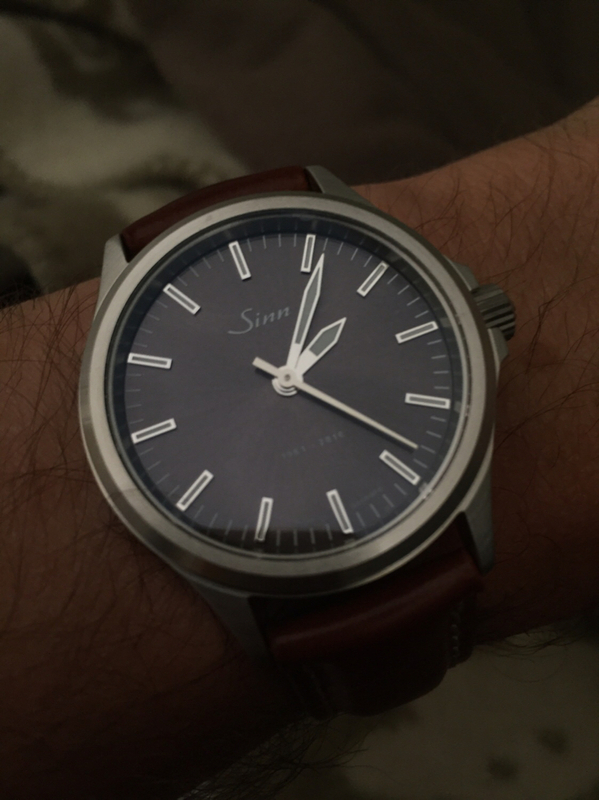 Great Sinn quality, very comfortable. 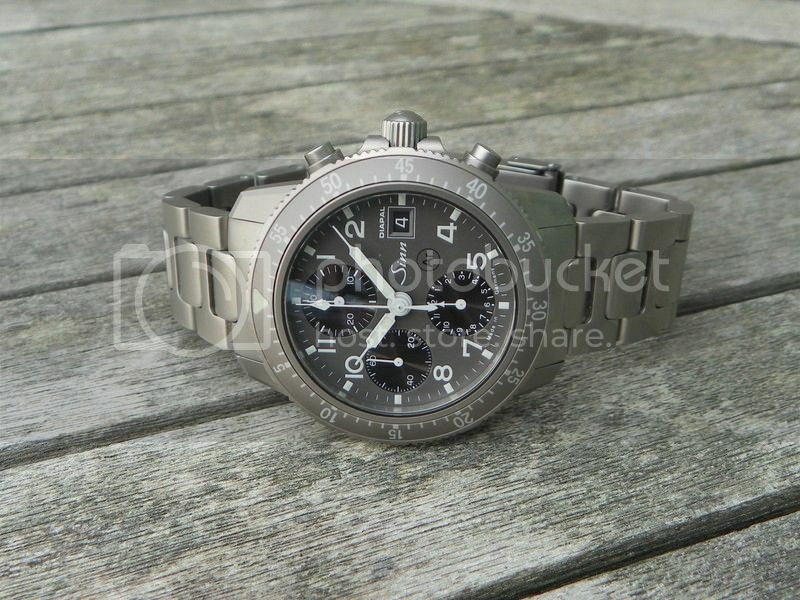 Superb balanced look to the twin-register chrono dial with no cut-off hour digits, date at 6 o'clock and that glossy grey sunburst finish is sublime. Why-o-why did I sell mine? Last edited by Cat7; 24th February 2017 at 06:30. 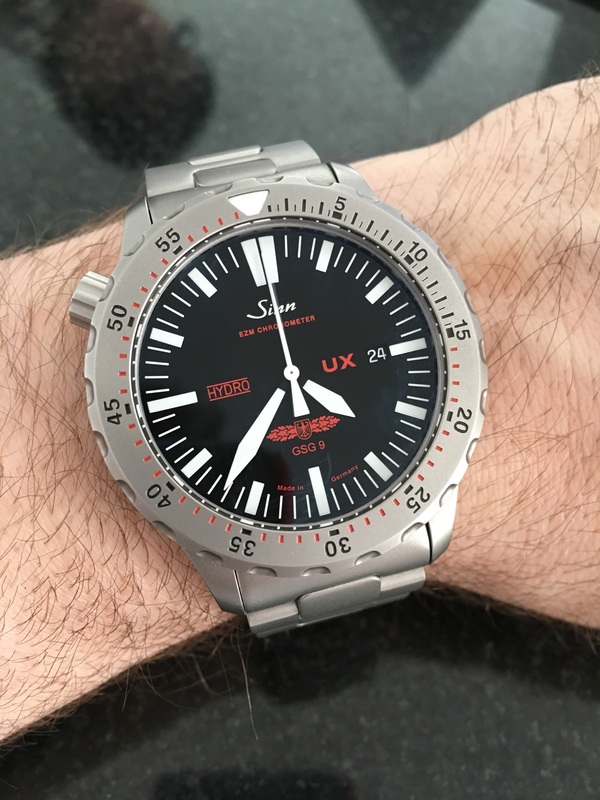 UX on (I think) a timefactors NATO. 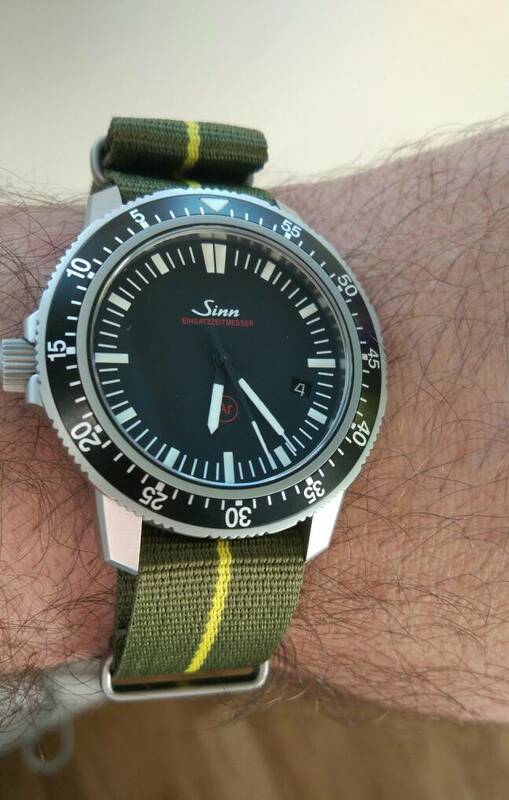 Back from Sinn for complete overhaul, including new case and bezel. Now I get a little side project of what to do with the old case. 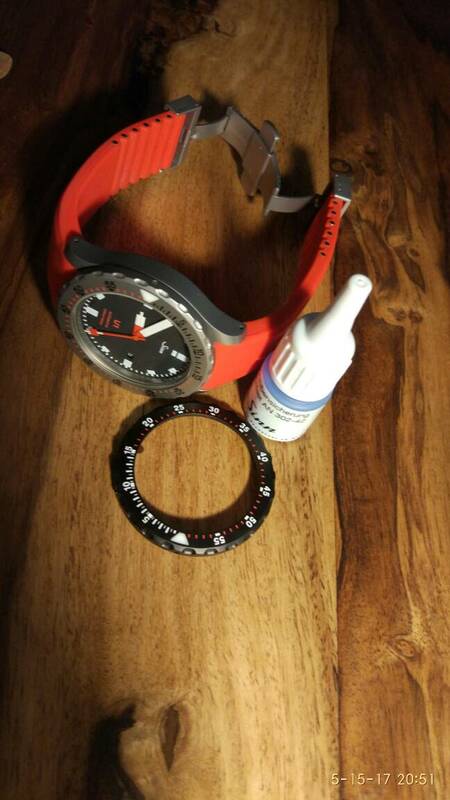 If I can find a casback that fits, I should be able to knock something together to give me a working watch. 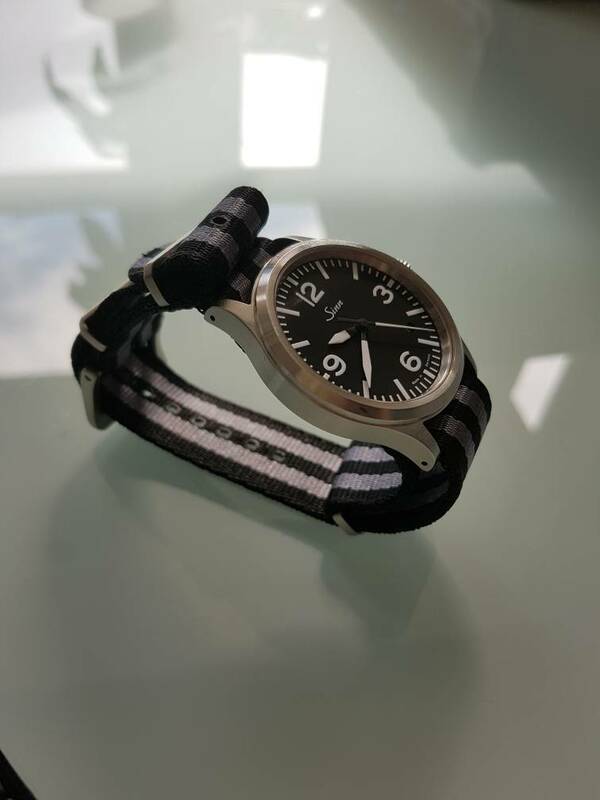 On a custom strap made for me by a talented chap in Indonesia. Last edited by Man of Kent; 25th February 2017 at 12:00. 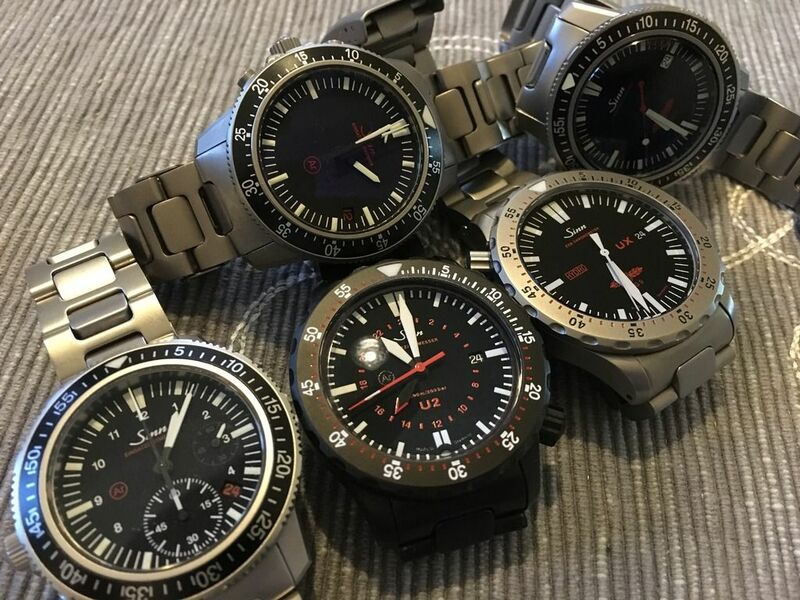 One of the 40 decommissioned EZM2s - the GSG9 was added to the dial once Sinn took the 40 back from the GSG9 and serviced them priory to sale. 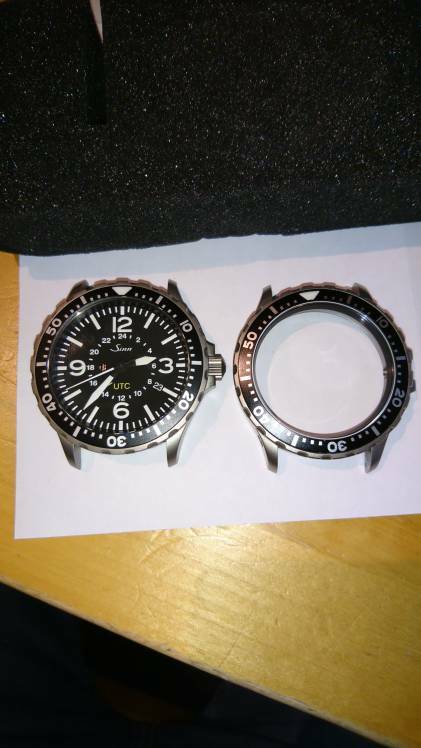 When it goes back for service/battery change, I am tempted to ask them to put a NOS EZM2 dial on it - the issue number is on the back, so I'd rather have it looking like it was when in service. 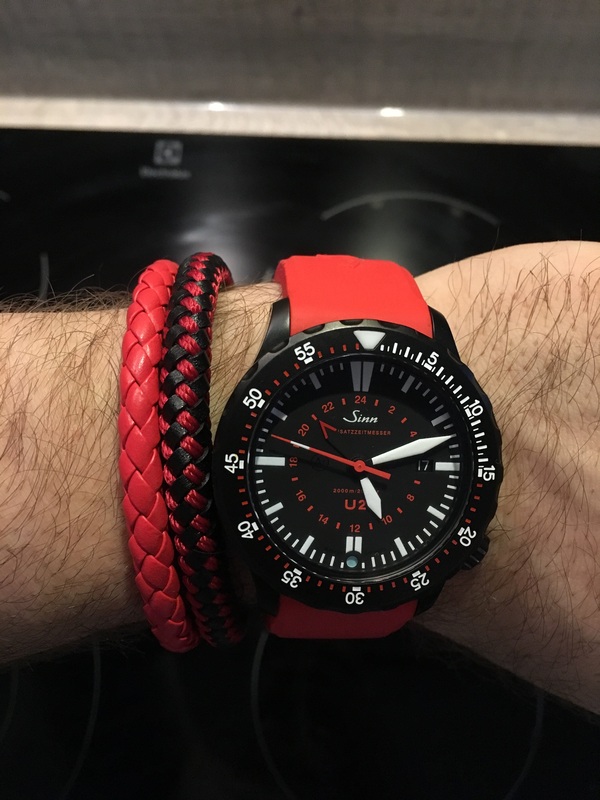 I bought a time factors premium nato to replace the knackered leather strap. 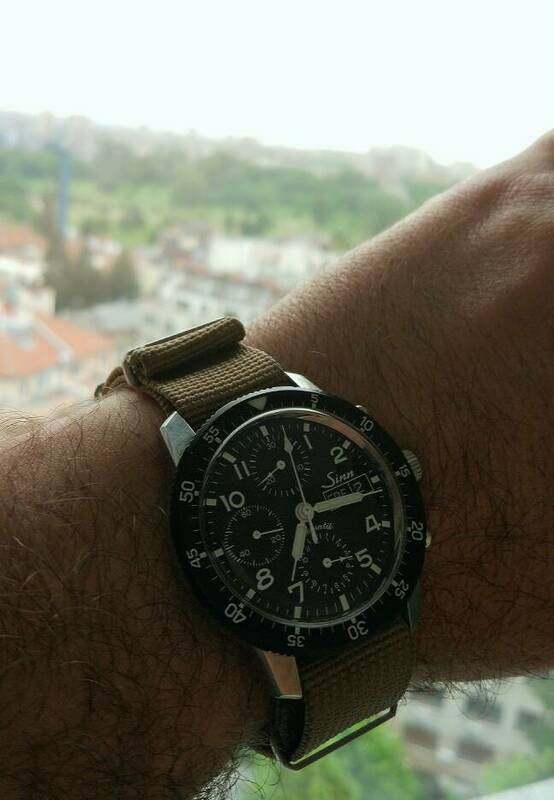 I'm not sure why the leather has only lasted two years but the watch is my daily wearer. 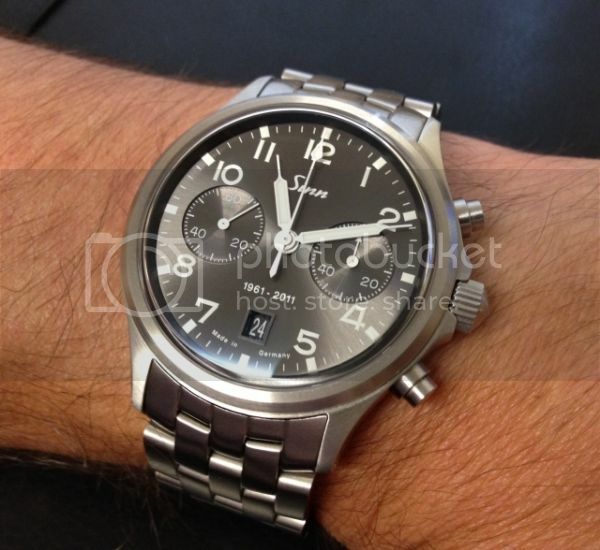 The nato in my eyes looks good and is without a doubt excellent for the money. 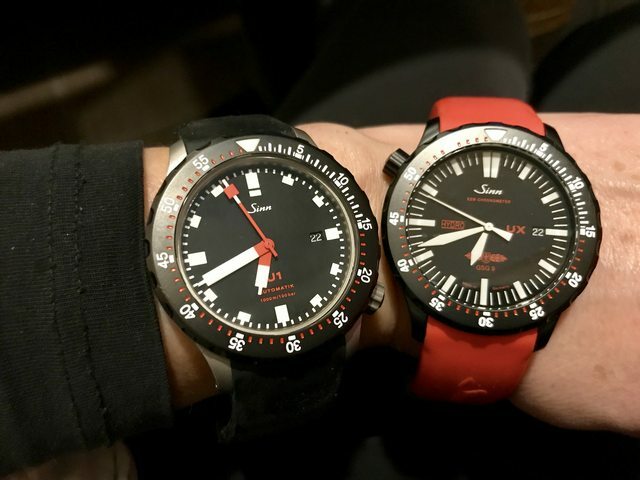 I've got my EZM2 on exactly the same strap! 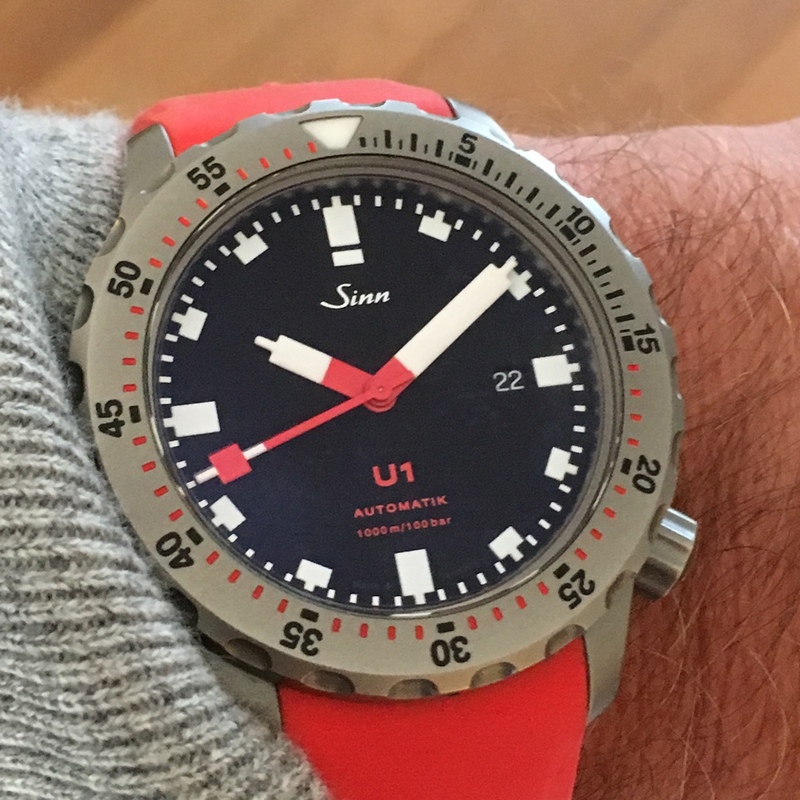 Sinn 103 st sa e... Eine von 300! My Sinns. 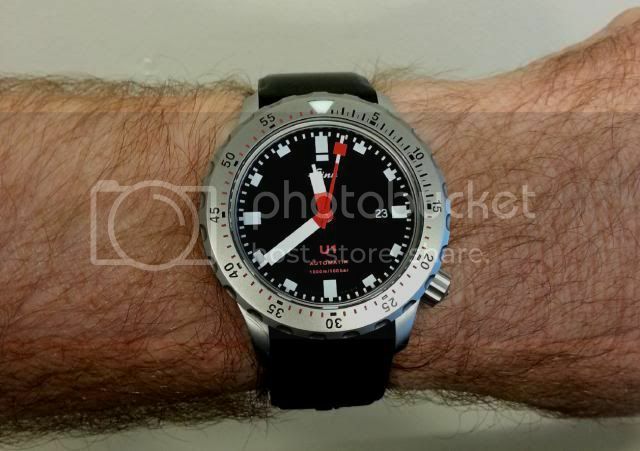 Currently I don't have a picture on my phone the Sinn 857 UTC that I have. 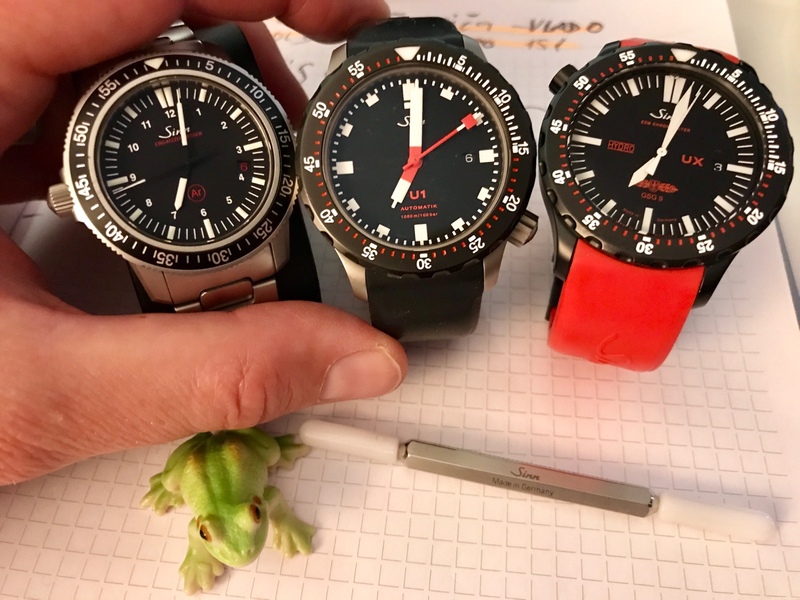 U1 is fantastic watch. Not everyone's cup of tea, but definitely mine! Design wise is very bold and a bit of left-field with the lego hands. 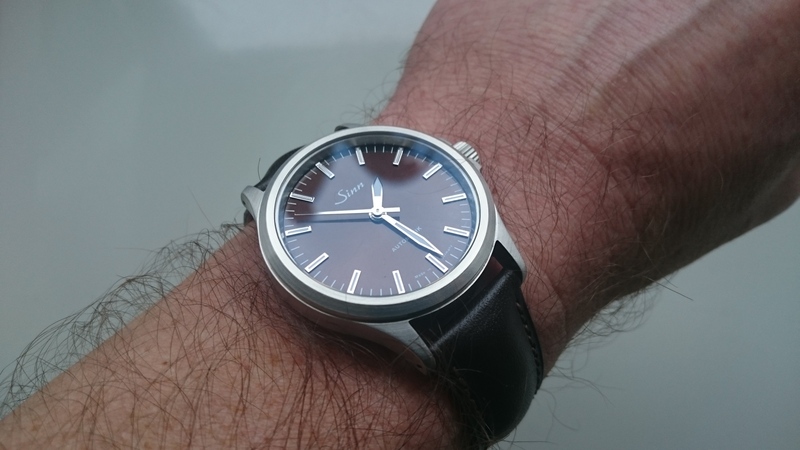 It is a watch that has gradually grown on me, before I bought it I started to appreciate it for what it is: its design (industrial, no-nonsense, masculine), built like a tank. 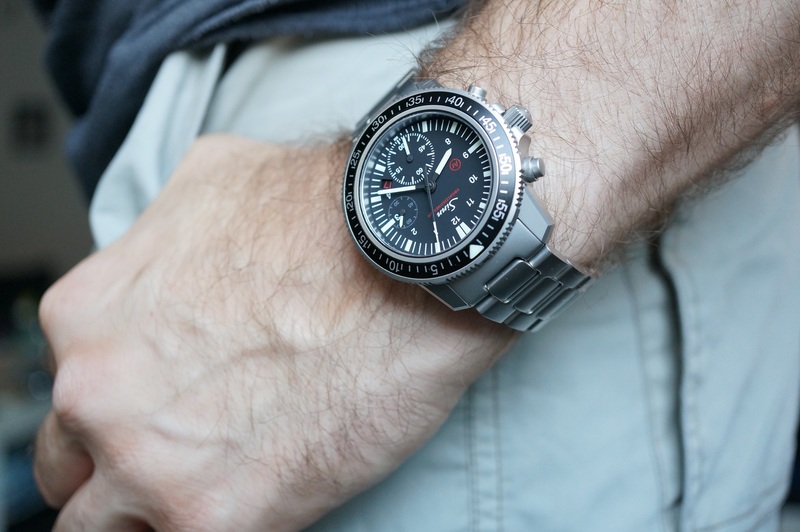 It became my go to watch for any sports/physical activities. 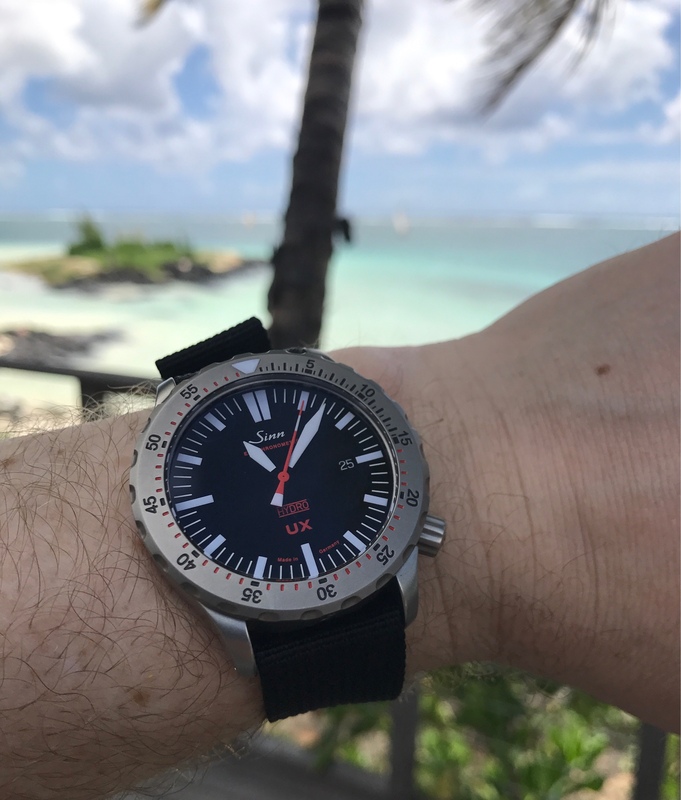 It is perfect for the summer on my current set up, but it can be 'toned down' with different straps. 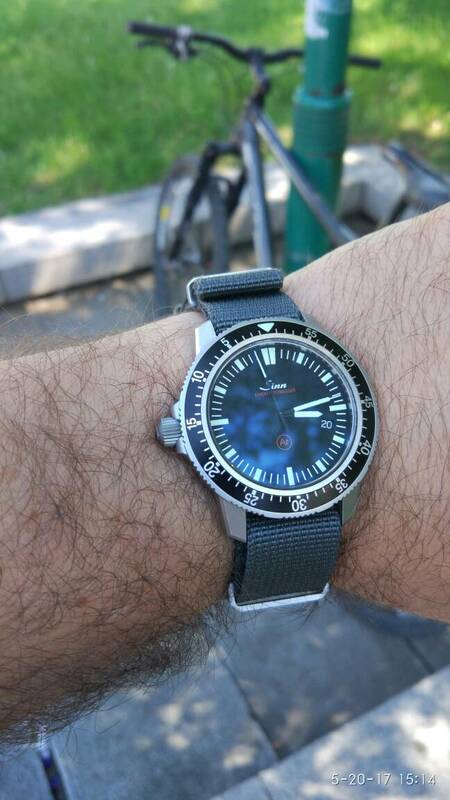 Looks great on its bracelet (a bit heavy on steel but one gets used to it), on rubber and on a nato. 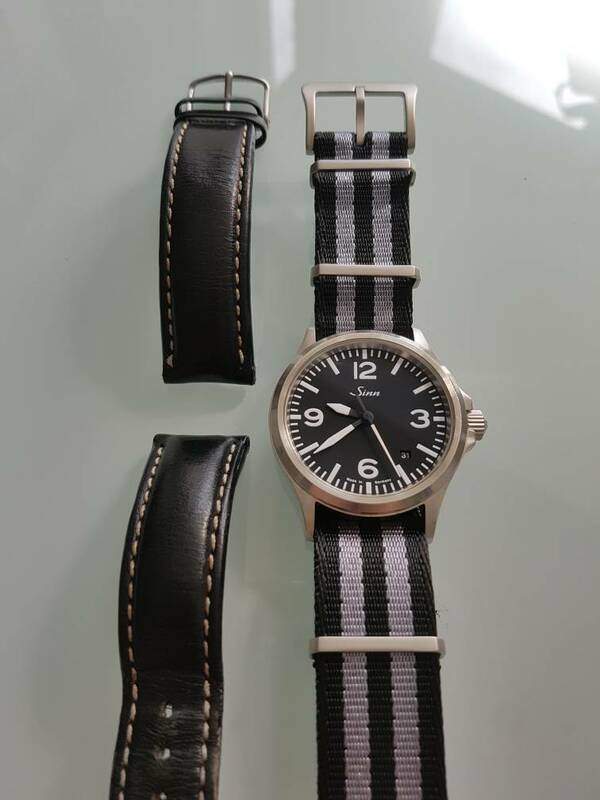 Seen some decent pictures on a leather but it is not for me (for that particular watch and for the activities that I am using it). 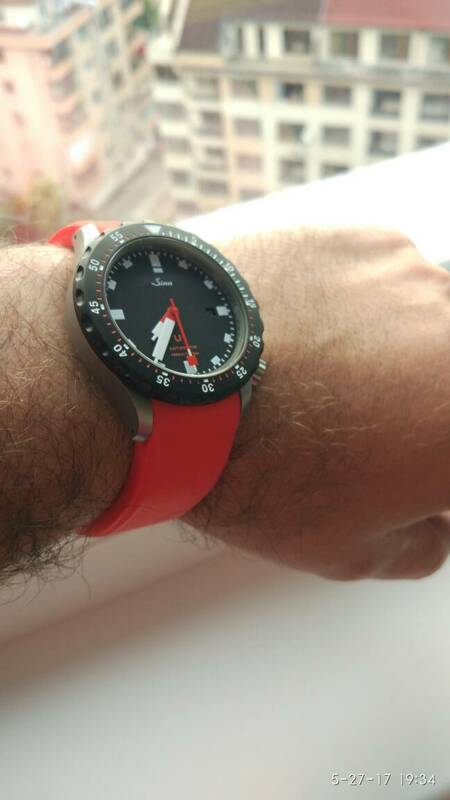 On the downside is that it sits tall on the wrist and I tend to catch it quite often on things. Ah so you got hold of one then! 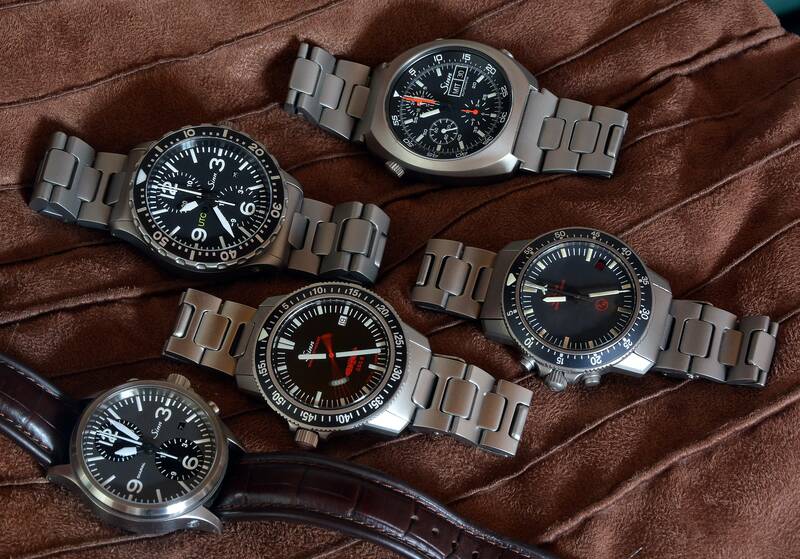 Which do you prefer out of this and the Arktis? 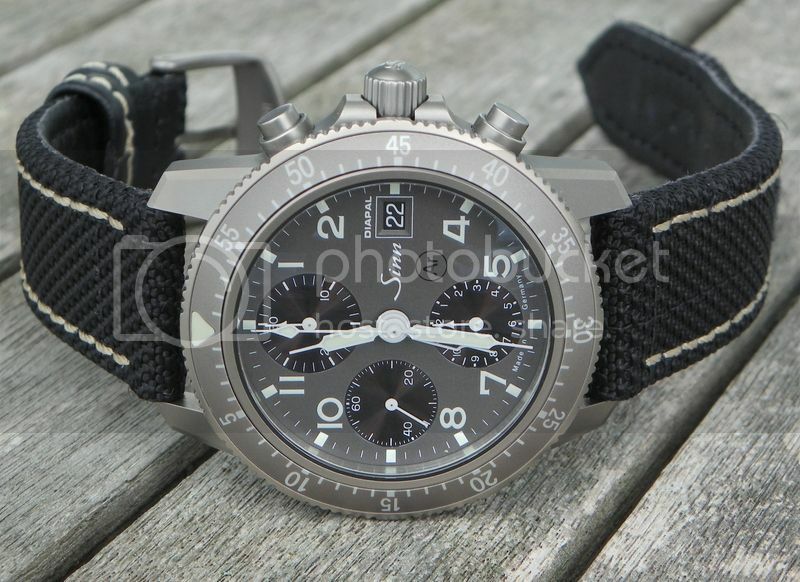 Gonna have to try an Arktis at some point, although I do have a bit of a thing for panda dials. 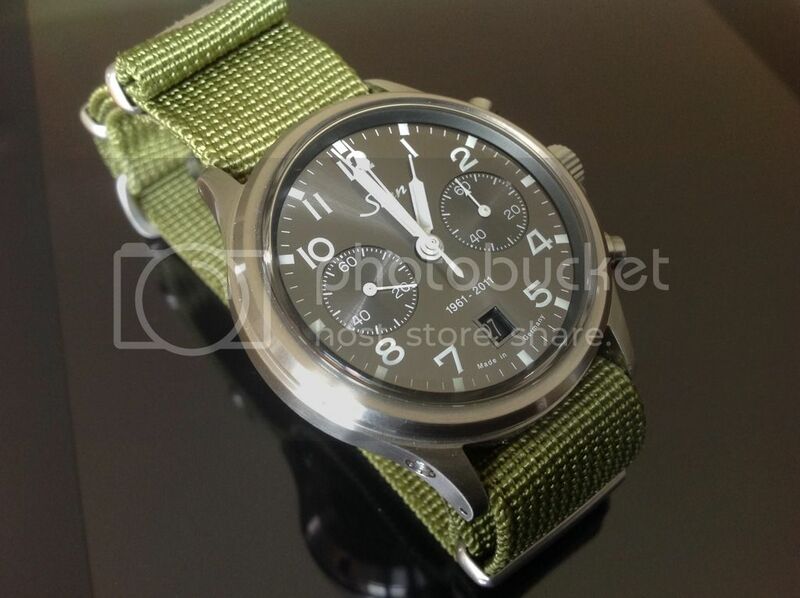 I like my 103 a lot, especially now that it's keeping essentially perfect time (gaining perhaps 2-3 seconds a month). Had to get a warranty service after it suddenly started gaining about 3 minutes/day. They screwed it up the on the first attempt, came back with severe gear lash causing the chrono second-hand to stutter. Sent it back again. This time, their head of service handled it personally. I don't know who that is, but he definitely knows his stuff. 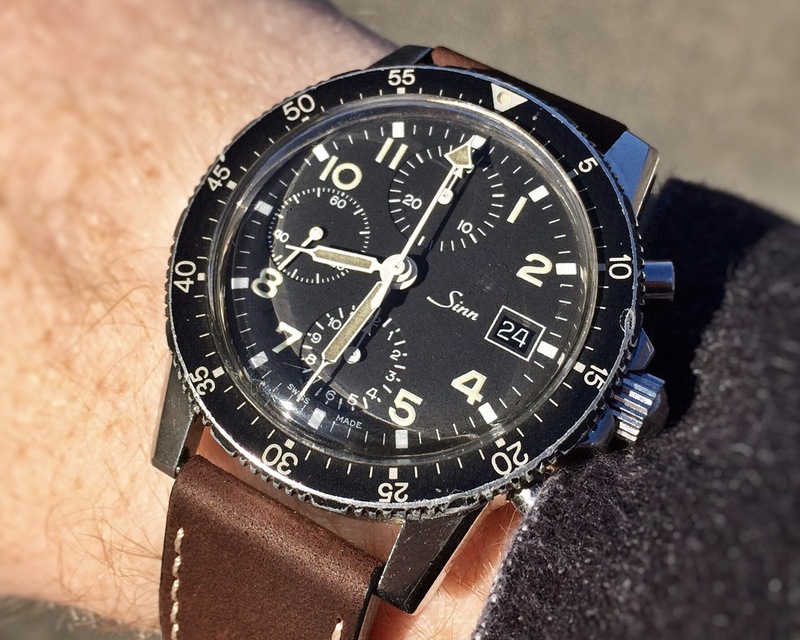 Sinn EZM3F on a Marine Nationale strap - do you think that combo works? I think it works OK. As long as your happy with it. 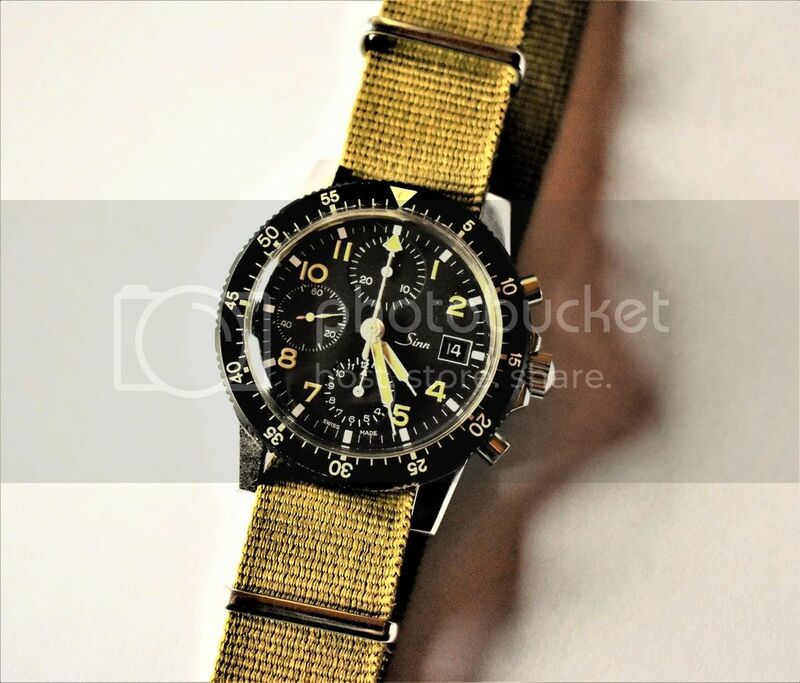 The marine nationale bands I had though I always found were too tight. Try it on a hirsch robby . Match made in heaven. 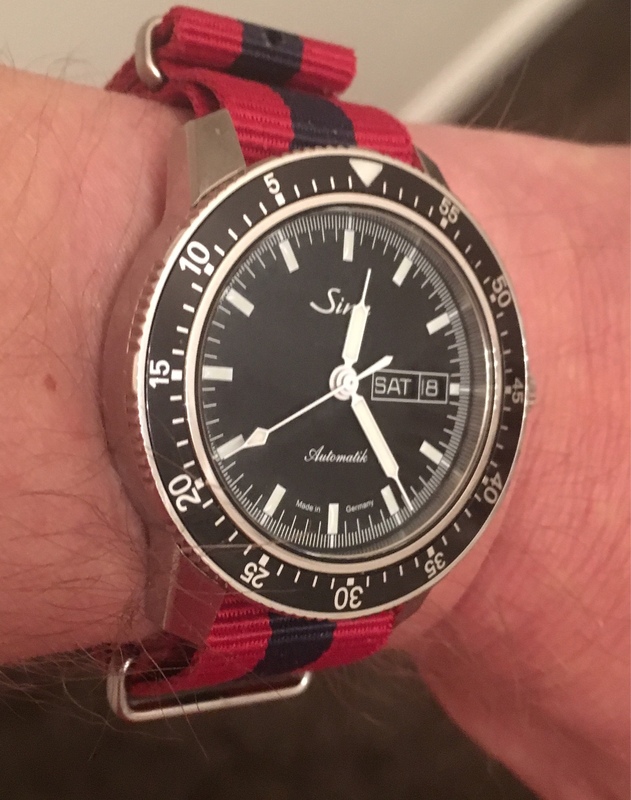 Re-posting my Sinn's as Photobucket stole my pics. Or I will when I work out how imgur works! I think I've got it now! Last edited by alphajet; 5th July 2017 at 00:10.